As far as we are aware there is no global league table ranking public policies by the breadth and depth of their evidence base. But - if there were - then the UK minimum wage would surely appear somewhere near the top. Its journey from a controversial idea to part of the UK mainstream tracked closely emerging research evidence that, far from destroying jobs as initially feared, it reduced extreme low pay without large negative effects. The LPC has commissioned more than 140 studies looking at every aspect of the policy. Now, the UK is entering a new era for the minimum wage - the National Living Wage. The key difference from the minimum wage as previously understood is that the rate, applicable to workers aged 25 and over, is much higher - starting at a more ambitious level, and increasing more quickly. Where the main rate of the minimum wage increased incrementally, the NLW is likely to mean a sharper, more sustained rise towards a target (60 per cent of median earnings by 2020). We have commented elsewhere on the benefits and risks of the policy - one in which the LPC plays a central role calculating the rate, monitoring the effects and advising on the path. As it takes effect however, one thing is certain: faster increases present a major opportunity for a reinvigorated research agenda. If a crude summary of previous UK research is that minimum wages work at relatively modest levels of increase - then the National Living Wage provides experimental conditions to test the scope to increase them faster and further. So, for researchers and funders interested in impact here are seven frontiers of minimum wage research that we have identified as priorities for the coming months and years. Hard data takes time to emerge. Since the announcement of the NLW in 2015, judgements on its effects have had to rely on qualitative evidence, small scale surveys and descriptive labour market analysis. But from this year onwards, it will become possible to carry out more sophisticated econometric analysis to understand what is happening. Our top priority is impacts on employment (jobs and hours) – particularly as they bear on low-paying sectors, regions and the kinds of worker (part-time, female, low-skilled) most likely to be on the minimum wage. We would also like to see detailed analysis of the other ways employers might adjust to higher pay floor including changes to earnings (wage bills, total reward, differentials, spillovers) and competitiveness (productivity, prices and profits). On productivity for example, past minimum wage increases were associated with higher levels. Some firms have said that the NLW could be a spur to reorganising work, reviewing job roles or investing in technology. But little is known about what this means in practice. We would like to understand better the size of possible gains, the role of automation and how changes vary between different kinds of industry and company. We would also like to know more about the relationship with jobs (firms have talked about fewer better-paid staff), and the nature of services delivered (some firms have talked about taking out labour cost by reducing quality or increasing work intensity). A higher minimum is already changing the wage distribution, lifting reward sharply at the bottom but also compressing wages within industries and companies. We estimated in our last report that in sectors like cleaning more than half of workers could end up on the minimum by 2020. A critical question for research is: what does this mean for progression of workers within and between firms, and how much does it matter? What too does it mean for company structures, training, job and geographical mobility? The LPC is required to make recommendations for the youth rates of the minimum wage on our traditional basis of increasing them as fast as possible without damaging employment. The NLW is set against a different and less strict test of avoiding employment harm. We have said previously that we expect the gap between the NLW and the other rates to continue, and perhaps get larger. But this also presents risks of substitution upwards or downwards, and potential threshold effects (eg, 24 year olds losing their jobs ahead of their 25th birthday). We would like to know more about the inter-relationship between the different rates and employer sensitivity to differences in wages by age. What are the levels and change in employer use of the age rates, and how do they reflect actual and perceived productivity of younger workers? Does a higher minimum for older workers provide shelter for a higher minimum for younger? Does it discourage employment of younger workers (for example, where firms don’t vary pay by age). If the NLW is to be successful it is important to understand better the possible pinch points within sectors and the scope to reduce them. We are especially interested in social care and childcare, both of which depend on government funding and tend to argue that there is little room to change the way that services are delivered, or raise prices. We have previously highlighted barriers to higher pay in non low paying sectors, which account for one in six minimum wage workers (by occupation). More generally: how much variation within sectors between companies is there, and what potential is there for lower-paying firms to behave like higher-paying ones? What does a higher minimum wage mean for the pay distribution, and what does this mean in turn for its effectiveness in raising living standards? Existing evidence suggests that the relationship between hourly pay, individual earnings and household income is complicated: on the one hand, minimum wage workers are found across the income distribution, and net gains to lower income households are much smaller than headline increases in the rate because of benefits and tax credit withdrawal; on the other, the policy looks more targeted if the focus is on working households, and workers without children tend to keep more of any increase than families. Further analysis of NLW impacts could help illuminate winners and losers. There is also more to be done on the distributional impacts of minimum wage increases at worker level (given some evidence of wider reward being reduced to fund a higher minimum, workers who have done a lot of overtime or night working may be seeing less benefit from a given increase than those working core hours). Higher (relative) minimum wages already exist in France, New Zealand and Australia (and are being tried in the US, Germany and Ireland as well as the UK). But there is limited readily available information on domestic literatures on employment and other effects, or how firms have adjusted. More specifically, further work is needed on how to make international comparisons. 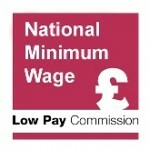 The NLW is set to move the UK up the international rankings for the relative value of its minimum wage (indeed this is the basis of the 2020 target). But this is deficient in the sense that comparisons based on the ‘bite’ don’t take account of different age structures between countries, are typically based on minimum wage value as a percentage of the wage of full-time workers (which may understate relative ‘performance’ in countries like the UK with high proportions of part-timers), and don’t account for effects on employment. If you are doing work on the minimum wage, we would love to know about it. The LPC holds an annual minimum wage research symposium. This year’s will be on 7 September, with opportunities to present work and hear that of other leading researchers. We also hold a more technical research workshop on 6 April, where the focus is more on data sources and methodology on more recently-commissioned research. Contact tim.butcher@lowpay.gov.uk if you would like to be involved. We also currently have live tenders out in relation to some of our top priorities - including for econometric research on the NLW and on younger workers. We welcome bids. Has underpayment increased since the introduction of the National Living Wage?